It has been only a few weeks since the launch of our tool, Betamin Builder, and the welcome we have received from you, the users, has been excellent. 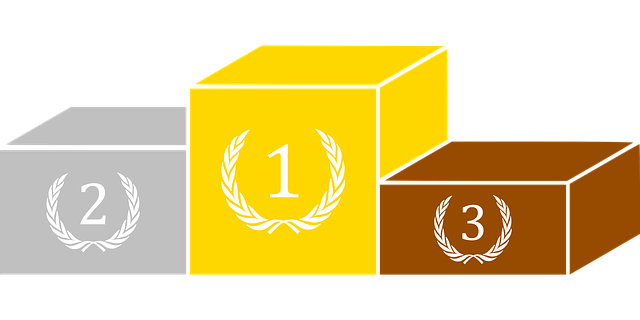 That’s why we want to thank you organizing a Challenge to choose the three best strategies created with the tool and to be published via Twitter. We will reward with three prizes of 30€, 20€ and 10€ to the winners . You have until 12.11.2017 to participate. To evaluate the best strategies we will take the following references. We will try to find a strategy that is as stable and profitable over time, and that can be followed in an easy way by users who so wish. On the other hand, the strategies presented to the challenge, Betaminic reserves the right to be able to do a detailed study and to publish them as new “Public strategies”. Total Bets/Picks of the strategy. The higher the number of picks, the higher the score. Minimum 500, maximum 3000. We put a minimum so that it has reliability and a maximum so that it can be followed by the users. Every 100 picks will accumulate 1 point, ie a strategy of 1000 bets/picks will have a rating of 10 points in this section, 1500 picks, 15 points and so on. Yield. The higher the yield, the higher the number of points. A yield of 11% will have 11 points, one of 15% will have 15 points and so on. Number of months with profit. In this case we will take the number of months in which this strategy has had a positive balance of the 64 months that we have in history. Each month in positive will add 0.5 points, so a strategy with 40 months in positive, will add 20 points. Prizes of 30, 20 and 10 euros to the 3 winning strategies via Paypal, Neteller or Skrill. Deadline of November 12 to submit the strategies. The winners will be published on 30.11.17 on our website, and we will contact them by email to determine the specific payment details. 1. You can participate with one strategy per user at most. If you have not yet registered with us, click here to create an account. 3. You have to post a Tweet with the following Text, with the Yield of the strategy. 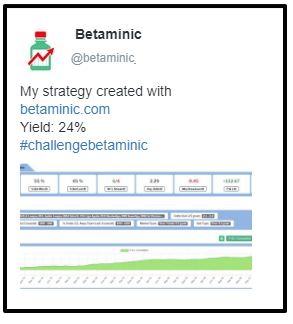 Add to the tweet a screenshot of the strategy with the summary of data and the graph of the strategy. To protect your data, please don’t show your username from web/tool. We look forward to your participation and wish you GOOD LUCK!